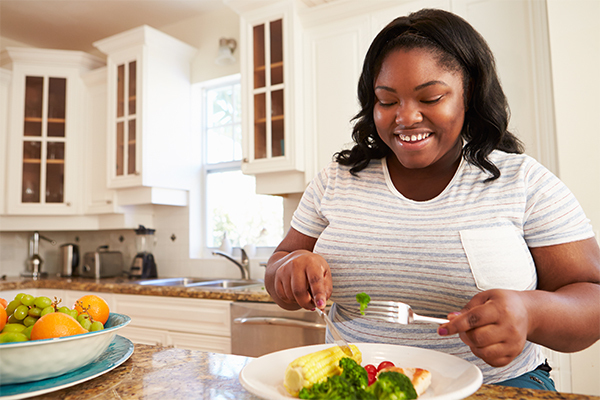 This purpose of this study was to examine the feasibility of an 8- week cognitive-behavioral binge eating intervention known as Appetite Awareness Treatment (AAT) in Black women with obesity (N=31). The results of this study suggest that AAT is feasible among Black women with obesity. After the 8 weeks, participants in the AAT group reported significantly less binge eating episodes, and higher eating self-efficacy scores, as compared to the wait-list control group. Future research should examine AAT for a longer duration and in a larger sample.